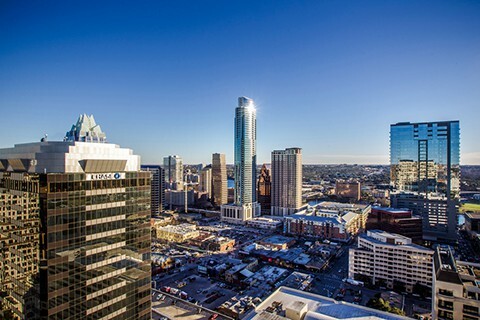 Austin Ventures provides emerging and expansion-stage technology companies with a long-term investment approach, a proven ability to build value in the early stages, and access to an unparalleled network of executives, capital sources, and technology professionals. Although we invest at all phases of a company’s life, much of our investment activity occurs at the early stages, and certainly no investment opportunity is "too early" for our consideration. AV also funds larger, more established ventures, providing growth capital to expand operations, enter new markets, or finance acquisitions. In making both types of investments, we aim to partner with proven entrepreneurs who have deep domain experience. Proprietary relationships and network with world-class entrepreneurs in Texas and the U.S.
Convio is a provider of software and services to help nonprofits use the Internet strategically to build strong relationships with constituents for driving fundraising, advocacy and other forms of support. Convio has online solutions for fundraising and membership, advocacy, special events, volunteer fundraising, Web site management and email communications. LifeSize is the first company to develop and deliver high definition video communications products. Founded by industry veterans and Headquartered in Austin,Texas, LifeSize's award winning solutions combine superior quality of experience, unique flexibility and unmatched price performance to make video communications a productive, true-to-life experience. LifeSize is headquartered in Austin, TX with subsidiaries in Europe and Asia Pacific, and a network of channel partners reaching more than 80 countries. Lombardi is a leader in business process management (BPM). We offer award-winning BPM technology and services to help our customers, partners and government agencies around the world succeed with their process improvement initiatives. Lombardi is behind some of the largest, most successful BPM implementations in the world. Our customers include AARP, Aflac, Allianz Group, Applied Materials, Aviva Plc., Banco Espirito Santo, Barclays Global Investors, Chiquita Brands, Dell, Financial Services Authority, Ford Motor Company, Hasbro, ING Direct, Intel, Jaguar Land Rover, Mirant, National Bank of Canada, National Institutes of Health, OAD Groep, Pfizer, PHH Arval, SIRVA, Symantec, UCLH, Wells Fargo, Yale University and numerous governmental agencies. SailPoint, the market-leading provider of on-premises and SaaS-based identity management solutions, helps the world's largest organizations mitigate risk, reduce IT costs and ensure compliance. The company's innovative solutions, IdentityIQTM and AccessIQTM, provide superior visibility into and control over user access to sensitive applications and data, regardless of where they reside.SailPoint's product suite provides customers a unified solution for risk-aware compliance management, closed-loop user lifecycle management, flexible provisioning, cloud access management, and identity intelligence; all based on an integrated governance model.